Earlier this year, Exeter Phoenix secured an Art Council grant to improve it’s range of facilities, and this Autumn a brand new cinema space, Studio 74 will launch after a summer of redevelopment. The new independent cinema Studio 74 opens with a season of cinema dedicated to Crossing The Line, an innovative series of feature film and shorts exploring moral, ethical, sporting or geographical boundaries and I’m delighted to be involved with a special bike and film night. 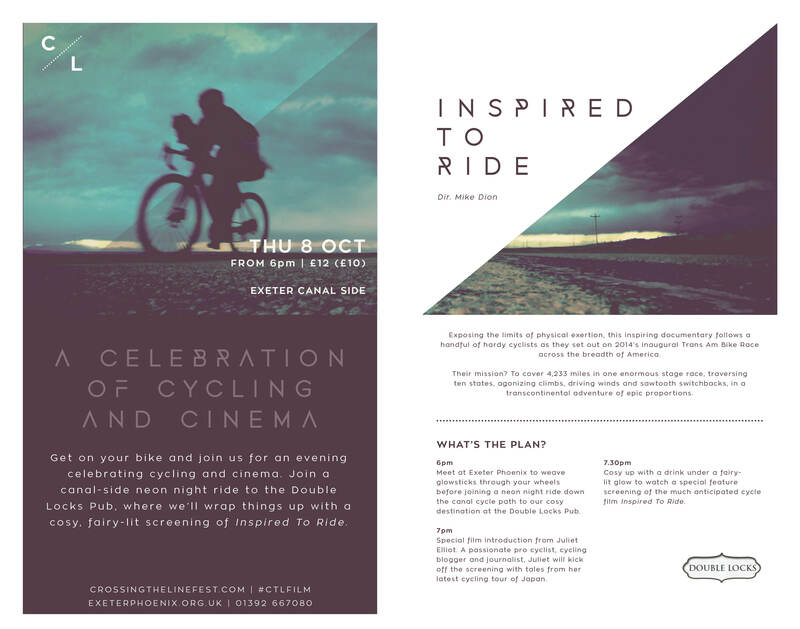 Next Thursday, October 8th, join us at Exeter Phoenix to deck yourself out in lights for a canal side neon night ride ride. We’ll roll out together to the lovely Double Locks pub, which is only accessible by bicycle or by foot where you can cosy up with a drink and enjoy a relaxed evening. To kick things off, I’ll be introducing the evening, showing my Charge Bikes in Japan flick and chatting about my time cycle touring in Japan, then we’ll move onto the main feature – an exclusive screening of Inspired To Ride. For more info and to book tickets, check out the Crossing The Line and Exeter Phoenix websites. TransAm isn’t a stage race.